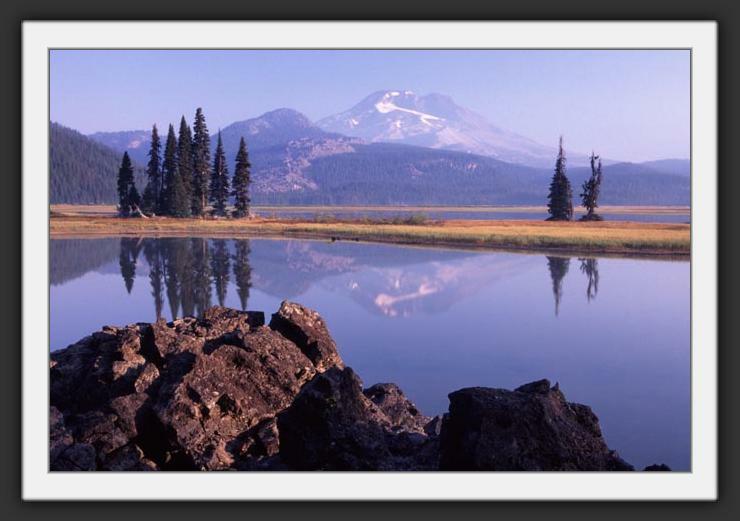 Early light strikes South Sister and still Sparks Lake in central Oregon. Velvia. All images are Copyright (C) Patrick Y. Wang. All rights reserved.